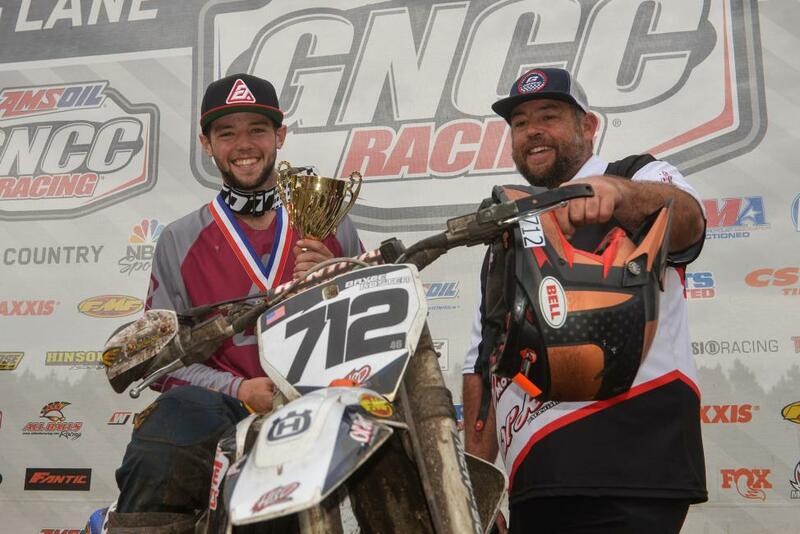 The AMSOIL Grand National Cross Country (GNCC) Series, an AMA National Championship continued this Sunday, March 11 with the 4th Annual Moose Racing Wild Boar GNCC. 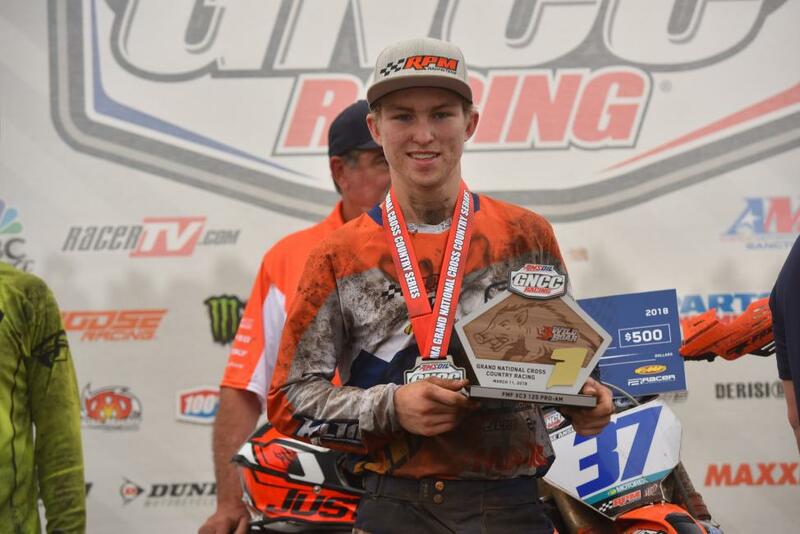 FMF/KTM Factory Racing’s Kailub Russell would come away with his second consecutive win of the 2018 season, and his third win in the state of Florida. When the green flag flew it was KTM/Thor/Parts Canada’s Kaven Benoit who would come away with the $250 All Balls Racing holeshot. 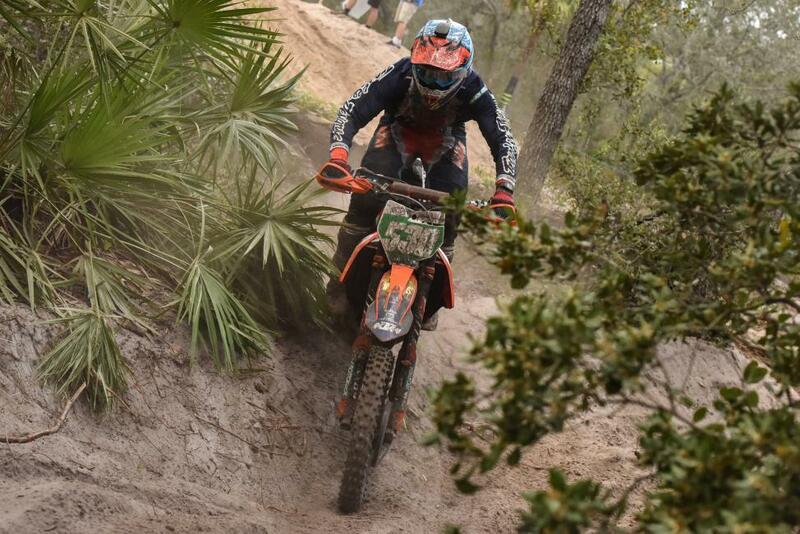 However, Tely Energy Racing/KTM’s Steward Baylor Jr. would take over the lead after heading into the woods. S. Baylor would battle through the first couple laps, and hold onto the lead until the fourth lap, where K. Russell would takeover until the checkered flag came out. Rockstar Energy/Factory Husqvarna Racing’s Josh Strang was off to an excellent start, and held onto the second place position for the first three out of six laps. Strang would ultimately finish sixth at the end of the three-hour race after battling through the deep field of XC1 Open Pro riders. Fellow Rockstar Energy/Factory Husqvarna Racing’s Thad Duvall would once again prove that he has what it takes to run at the front of the pack. Duvall would fight back from a mid-pack start, occasionally contending for the third and fourth position finishes. 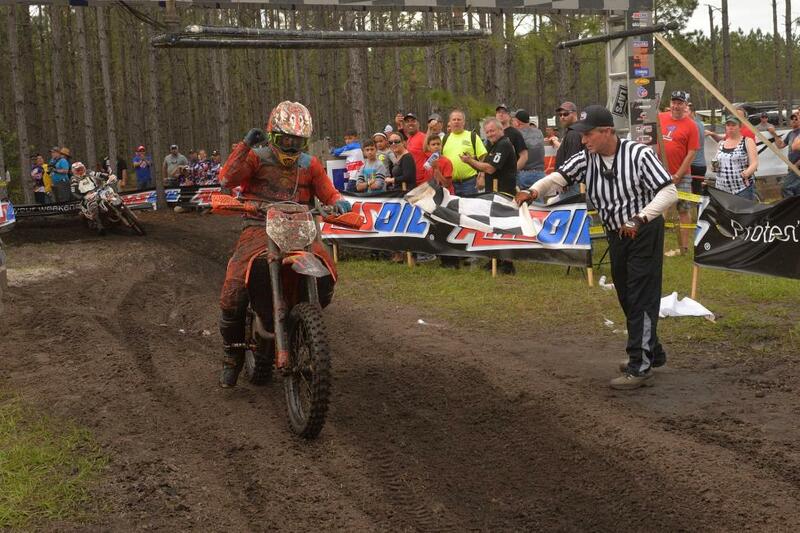 Duvall would round out the podium at the Moose Racing Wild Boar GNCC. Starting off just inside the top 10 overall was JCR/Honda’s Trevor Bollinger. Bollinger would steadily move up throughout the race, battling for a podium position at one point, but would finish off this Sunday afternoon’s three hour race podium with a fourth place finish. 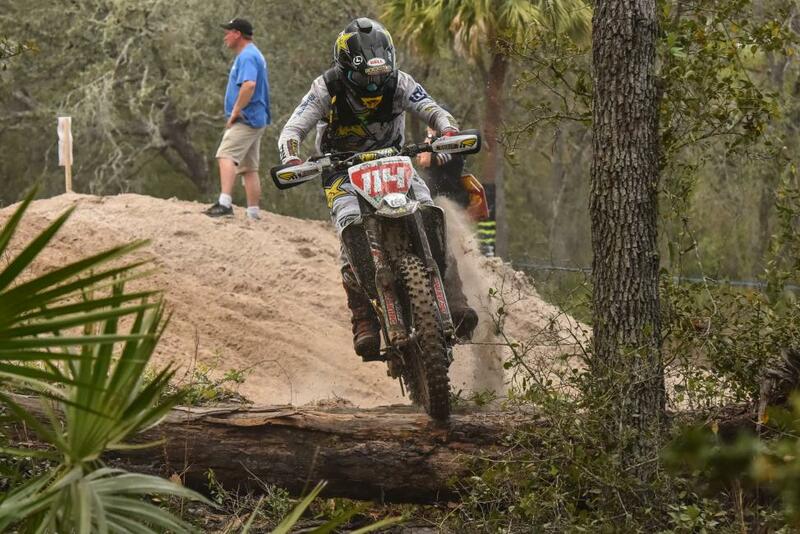 KR4/Husqvarna’s Layne Michael had a decent Sunday afternoon in Florida. Michael would come around the track on lap one in 10th place, but would soon find himself battling for a top five position. The Husqvarna rider would cross the line in the fifth place position. After an impressive start to the 2018 season, Trail Jesters KTM Racing’s Ben Kelley earned his first-ever XC2 250 Pro class win. Kelley and FMF/KTM Factory Racing’s Josh Toth battled back and forth all afternoon, but it would be Kelley who would prevail coming through the last couple miles. However at the start of the XC2 250 Pro race, KR4/Husqvarna’s Liam Draper would come away with the $100 Hot Cams holeshot award before finishing out the day with an eighth place finish. Coastal Racing Husqvarna’s Pascal Rauchenecker held down the third place position throughout the three-hour long race in Florida. Rauchenecker has finished third place at the Big Buck and Wild Boar GNCC races, and looks to be a rider to keep an eye on in the future rounds. Teammate, Craig Delong ran third for the first part of the day, but would fall to Rauchenecker at the halfway point. In the FMF XC3 125 Pro-Am class it would be AmPro Yamaha’s Cody Barnes with the $100 FMF holeshot award. Some unfortunate luck would come across the round one winner Coastal Racing’s Alex Teagarden. 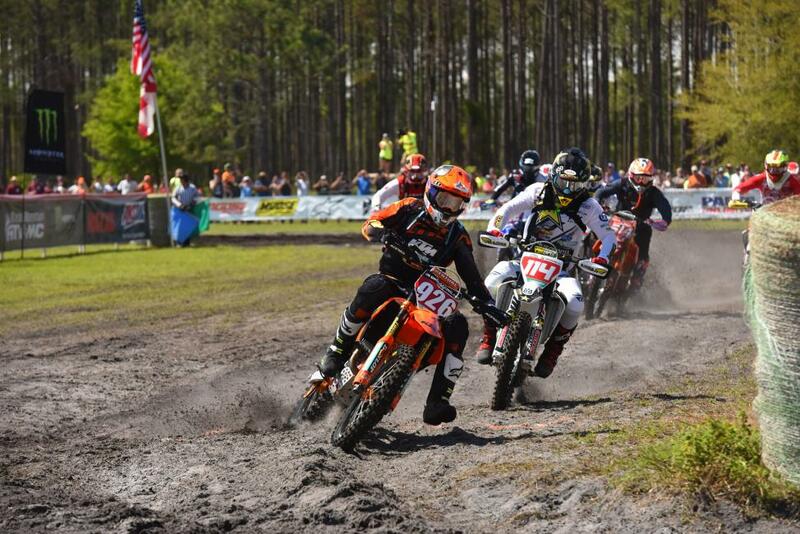 Florida native and FMF/Maxxis/RPM KTM’s Jesse Ansley found himself in the first place position at the halfway mark, and did not look back taking his first FMF XC3 win. 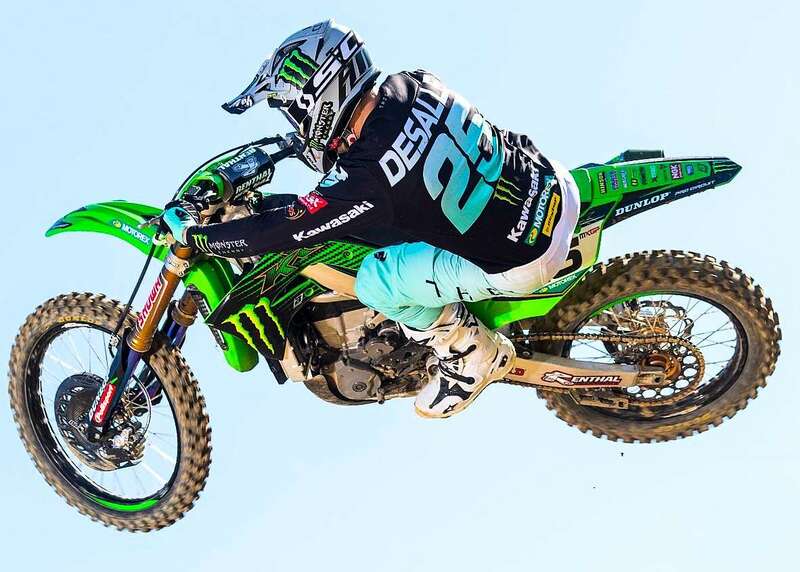 Bryce Koster would take home the overall amateur honors after winning the Open A class followed by Brewer Cawley and Chase Hayes of the 250 A class. As the 10 a.m. amateur race started, it was GasGas/FAR’s Korie Steede who took the holeshot and lead as they headed into the woods. When they came through the finish after lap one it was KR4/Husqvarna’s Tayla Jones followed by Fly Racing/Maxxis/Seat Concepts KTM-backed rider Becca Sheets and Beta USA’s Rachel Gutish in third. Jones, Sheets and Gutish would remain in the top three positions throughout the five lap race, and Jones would earn her second win the season. In the 8 a.m. Youth race it would be Peyton Whipkey taking home his second overall win of the season, and YXC1 Super Mini Sr (14-15) class win. Grant Davis would finish an impressive second overall after starting from the second row in the YXC2 Super Mini Jr (12-13) class. Max Fernandez finished out the day third overall and second in his class. The 1 p.m. pro bike race was broadcast LIVE in its entirety on RacerTV.com and can be viewed as archived video online by visiting the GNCC LIVE page online. A highlight show featuring the event will be aired on the NBC Sports Network on Sunday, April 21 at 5:30 p.m. EST. The 2018 AMSOIL Grand National Cross Country Series resumes in one week March 17 and 18, in Washington, Georgia with The Maxxis General GNCC. *Indicates that the Overall National Championship Standings will determine the 2017 National Champion.